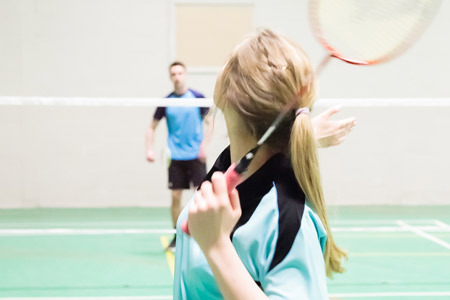 If you enjoy a great game of badminton, come and give us a try here at the Holbrook Club. We have 4 courts that can be hired Monday to Sunday 9am to 5pm. Members can bring guest in to play for just 50% of the court fee and then a £2 guest fee, per guest. If you need rackets then you can hire them from us for just £1.